"I enjoyed working with webstuffguy.com. The entire process was very informative and easy. It helped me to understand what was important for my website and what makes it more professional looking. Thank you webstuffguy.com for all of your help, guidance, and expertise. Awesome job!!!!!" "Thank you Ish! For seven years you have developed, maintained and updated our website - keeping us at the forefront of our industry. A solid web site is key to maintaining our strong presence in our field and your talents creating our website have been invaluable. Thanks again!" "It was great working with Ish on the development of my website. He took my old website and freshened it up, making it much more engaging and appealing. He was quick to respond to my request and questions, and he was very patient and professional. I look forward to working with him in the future and would be happy to recommend him to anyone who is looking for a skilled web designer." Highly Recommended! webstuffguy.com (Ish) just completed our new website and we couldn't be happier! Its a pleasure working with a professional like Ish who listens to your needs and wants, is professional, creative and most importantly helpful. If you're looking to create a professional and effective website, webstuffguy.com is the company to hire. I am so pleased and grateful that Ish made this a successful project! I recommend webstuffguy.com (Ish) to everyone who needs a website built, website hosting, internet marketing and more! He knows his stuff!! 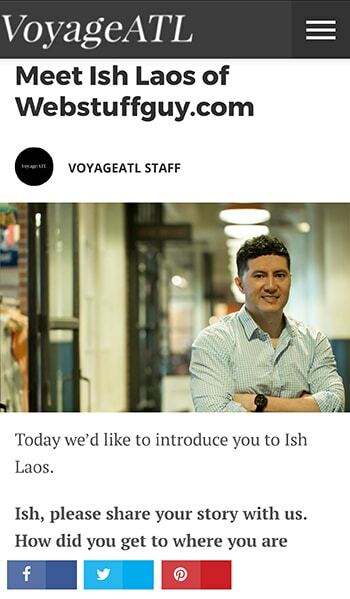 "Mr. Laos is a pleasure to work with. Professional and hard working and delivers a fantastic product. 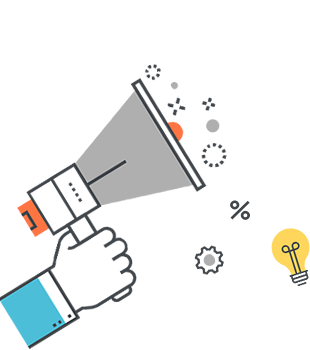 I highly recommend him to my friends who have requested website and logo work." "My office used to have a large national company help us with our website and marketing of it. We were unsatisfied with their results. We hired Ish of webstuffguy.com. He is there with us when we have questions, he is dedicated to our firm in getting the most out of our website. 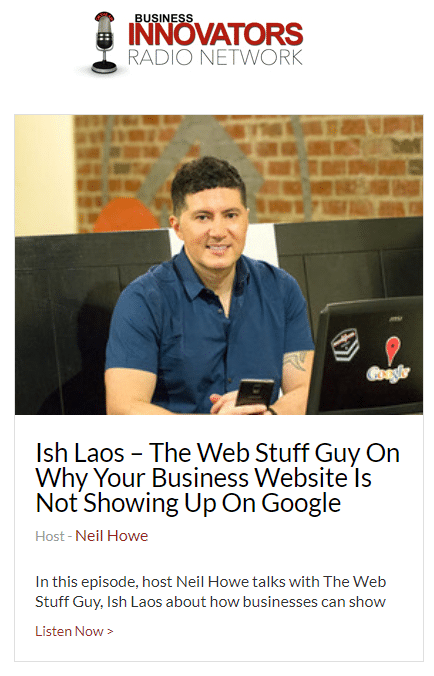 Our business on the web had increased threefold since we hired him. I highly recommend his services!" "I found Ish while browsing through the Internet looking for a logo designer. After calling a couple of people I found Ish's site and I immediately called. I was very pleased with the information I received and I hired him to do my logo. I must say, that Ish was fantastic to work with. Of course I wanted my logo to be as perfect as possible and Ish definitely delivered. Thanks Ish for your hard work and professionalism. I would definitely use his services for my website." "I don't know what I would have done without you. Ish is very pleasant to work with, he develop my website and also maintain it. He's always available to help me with any changes that I needed. Thank you so much for being very kind and very helpful. I look forward to a longtime business relationship with you." "Very professional work, love the art and the quality of the image, very clear , looks like I'm watching HD on paper. Thanks man..!" "Working with Ish was pleasure. He is very accommodating, hardworking, open to ideas and right attitude to go long with the customer. I will definitely recommend him for his rightful skill set and will go extra mile to meet the client deadlines."